Brokerdealer.com blog update couresy Bruce Kelly of InvestmentNews from 25 February. An independent broker-dealer, Newbridge Securities Corp., has reached an agreement to settle a class action suit costing the firm $850,000. The suit filed was filed by Newbridge clients from June 2008 to January 2013. The former clients alleged the firm price gouged clients for postage and handling on securities transactions. In addition to the class action suit, Newbridge Securities Corp., was fined $138,000 by FINRA for failing to buy and sell corporate bonds at a fair price for their customers. The Financial Industry Regulatory Authority Inc. fined the firm $138,000 for allegedly failing to buy and sell corporate bonds at a fair price for their customers. The firm allegedly failed to take into consideration relevant circumstances “including market conditions with respect to each bond at the time of the transaction, the expense involved and that the firm was entitled to a profit,” according to Newbridge’s BrokerCheck profile. The firm did not admit or deny the allegations as part of the settlement. The firm lost $434,600 on $37.9 million in revenue in 2013, according to its most recent annual audited financial statement submitted to the Securities and Exchange Commission. In May 2011, Finra CEO and chairman Richard Ketchum raised the issue of postal price gouging by broker-dealers in a speech to industry executives. Postage and handling fees charged by broker-dealers ranged at the time from $3 or $4 to as high as $75 per transaction, executives said. Some firms had been inflating postage and handling fees after the financial crisis as a way to boost profits. The issue of postage and handling costs has been hanging over Newbridge for four years. In April 2011, the Connecticut Banking Commissioner fined Newbridge $10,000, alleging that the firm charged a “handling fee” that was unrelated to actual transactional costs and that the firm failed to tell customers the fee included a profit to Newbridge, according to BrokerCheck. Finra in January 2013 fined Newbridge $50,000 over the same issue. Brokerdealer.com blog update is courtesy of the law firm, Morgan Lewis. 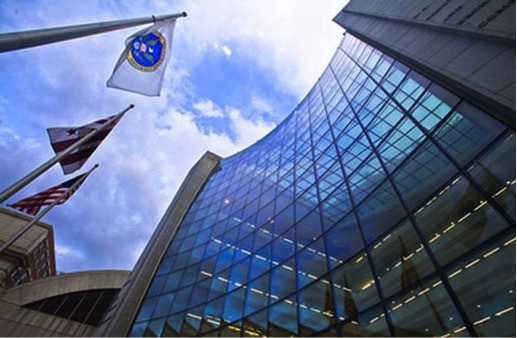 In a record year for enforcement, the SEC brought a landmark number of cases, and FINRA imposed an exceptional level of fines and restitution. This LawFlash highlights key U.S. Securities and Exchange Commission (the SEC or the Commission) and Financial Industry Regulatory Authority (FINRA) enforcement developments and cases regarding broker-dealers during fiscal year 2014. The full 2014 Year in Review is available here. There were few significant personnel changes at the SEC last year. The Commission’s composition was stable in 2014 with Chair Mary Jo White continuing to lead the SEC. The other commissioners are Luis A. Aguilar, Daniel M. Gallagher, Kara M. Stein, and Michael S. Piwowar. Notable changes were made with appointments in two major SEC divisions (Stephen Luparello was named the director of the Division of Trading and Markets, and Stephanie Avakian was named the new deputy director of the Division of Enforcement). New directors were also appointed to lead the Philadelphia and Atlanta regional offices. In fiscal year 2014, the SEC brought a record 755 cases, a figure likely boosted by the number of open investigations carried over from the prior year. Moreover, the SEC’s actions resulted in a record tally of monetary sanctions being imposed against defendants and respondents. With respect to its caseload, in what has become a trend, the SEC brought 7% fewer cases against investment advisers and investment companies—130 cases in fiscal year 2014, compared to 140 actions in fiscal year 2013. To contrast, in fiscal year 2014, the SEC reversed its downward trend from fiscal year 2013, bringing 37% moreactions against broker-dealers—166 in fiscal year 2014, compared to 121 in fiscal year 2013. Nevertheless, taken together, the SEC continues to devote significant resources to investigating regulated entities: cases in these areas have represented about 39% of the Commission’s docket in each of the last two fiscal years. After a sharp decline in 2013, the Commission brought 52 insider trading cases in fiscal year 2014, an 18% increase from fiscal year 2013, but this increased number is still lower than the fiscal year 2012 total. We will see in the coming year how changes to the legal landscape may affect the SEC’s enforcement in this particular area. An interesting enforcement record emerged at FINRA last year. 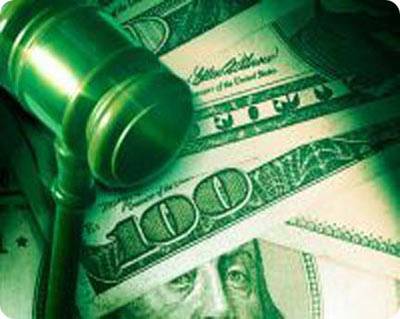 Although it instituted fewer disciplinary cases in 2014, its fines doubled from the prior year. Moreover, the amount of restitution that FINRA ordered in 2014 more than tripled the amount that had been returned to investors in 2013. Specifically, in 2014, FINRA brought 1,397 new disciplinary actions, a noticeable decline from the 1,535 cases initiated in 2013. Along the same lines, FINRA resolved 1,110 formal actions last year; 197 fewer cases than it had in the prior year. With respect to penalties and restitution, in 2014, FINRA levied $134 million in fines (versus $60 million in 2013) and ordered $32.3 million to be paid in restitution to harmed investors (versus $9.5 million in 2013). To read the entire article from Morgan Lewis, click here. Britain’s Top BrokerDealer RBS: On The Ropes, Or Down For The Count? BrokerDealer.com blog update courtesy of curating multiple breaking-news sources. Facing another multi-billion pound loss, Royal Bank of Scotland announced that its investment bank will cut 60 percent of assets and exit most international markets. “Let me be quite clear, this marks the end of the standalone global investment bank model for RBS,” Chief Executive Ross McEwan said, according to Reuters. RBS’s investment bank will withdraw from 25 of the 38 countries in which it operates to focus more on U.K. operations, while offering scaled down services in other markets kept largely to service its U.K. customers. Job losses in the investment bank, which is estimated to have 16,000 to 18,000 employees, are expected to be significant. Rory Cullinan, who has headed the RBS “bad bank” which has divested or closed unwanted or unprofitable operations, will now become executive chairman of the corporate and investment bank, replacing Donald Workman, who will become executive chairman of RBS’s private banking franchise, called Coutts. Sir Howard Davies, who was the first chairman of British financial regulator Financial Services Authority (FSA) from its formation in 1997 until 2003, was confirmed as chairman of the bank, replacing Sir Philip Hammond who is leaving for a top role at GlaxoSmithKline. The announcement of the drastic measures came as RBS announced a loss for 2014 of 3.5 billion pounds ($5.4 billion). The loss was affected by a 4 billion pound write down on Citizens Financial Group in the U.S., which will likely be sold or might go public. The annual results were a sharp improvement from last year’s loss of 9 billion pounds, but the bank, which received a 45 billion pound bailout by taxpayers during the financial crisis, has not turned a profit since the bailout. Instead, it has posted 49.5 billion pounds in losses since that time. RBS also announced that it is selling $36.5 billion of U.S. and Canadian loan commitments to Japan’s Mizuho Financial Group for around $3 billion, generating a $200 million loss for RBS. Brokerdealer.com blog update is courtesy of InvestmentNews’ Mason Braswell. Morgan Stanley, a leading investment firm specializing in wealth management, investment banking and sales and trading services, just wanted to have little fun at their 2014 branch manager’s meeting. They created a parody to the “Hunger Games: Catching Fire” movie but choose not to show it, for very good reason. Unfortunately for them InvestmentNews obtained a copy of the video and has shared, the news has been catching fire (pun intended) and people aren’t happy. 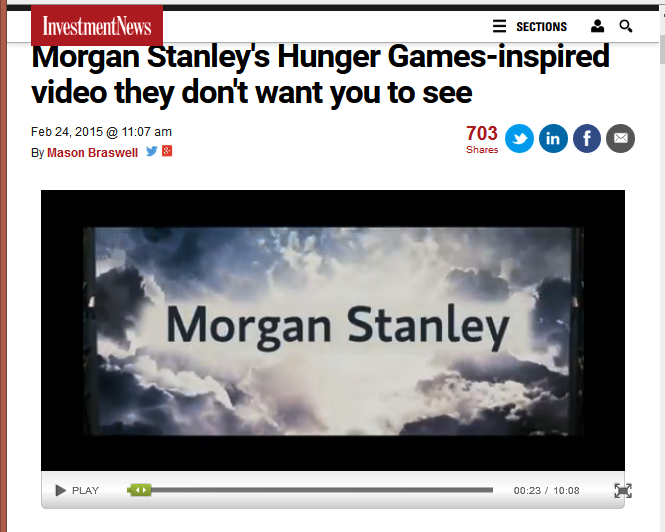 There’s a grain of truth in every joke, and while a video Morgan Stanley produced last year as entertainment for a branch managers’ meeting was an obvious parody of the “Hunger Game” film series, it provides a unique, behind-the-scenes look at the country’s largest wealth management firm. The 10-minute video, titled “Margin Games: Manager on Fire,” was ultimately shelved and never shown at the branch managers’ meeting in February 2014. But the video, a copy of which was obtained byInvestmentNews, seems to reflect a cutthroat culture among wirehouse managers and a lack of congeniality between leaders in the field and executives in the home office. Starring a number of the firm’s top brass, including Shelley O’Connor, who oversees the firm’s approximately 16,000 advisers, the film has executives in a war room at headquarters, pitting branch managers against each other in a death match resembling the one portrayed in the “Hunger Games” series. There are moments where managers joke about the coldness of senior leadership: “They’ll have somebody at your desk on Monday,” one manager says to a competitor. Other scenes feature jokes that hinge on racial stereotypes, including having an Asian woman appear as the expert in martial arts who pulls knitting needles from her hair and throws them at a dart board. The company won’t talk about the video or say why it decided not to show it. A spokeswoman for the firm would say only that the video was never released. But according to sources familiar with the video who did not want to be identified, Greg Fleming, the president of Morgan Stanley Wealth Management, was involved in the decision. Sources cited different possible reasons for pulling the video, including concerns of human resources personnel about some of the jokes or scenes of violence in the workplace. Some current and former Morgan Stanley executives who asked not to be identified said the fact that a video was even made that joked about people who were losing their jobs shows the detachment of executives from other employees. In fact, two months after the managers’ meeting,the firm began a reorganization. The firm cut the number of regions to eight from 12 and reduced the divisions from three to two. One of the divisional directors who was featured in the video, for example, left the firm after his position was eliminated. Four regional managers were moved to different roles. For the complete article and to view the original video, click here. Brokerdealer.com blog update is courtesy LinkedIn “InFluencer” and Business Analyst at CBS News, Jill Schlesinger. The White House wants to change the way brokers provide advice on retirement accounts. 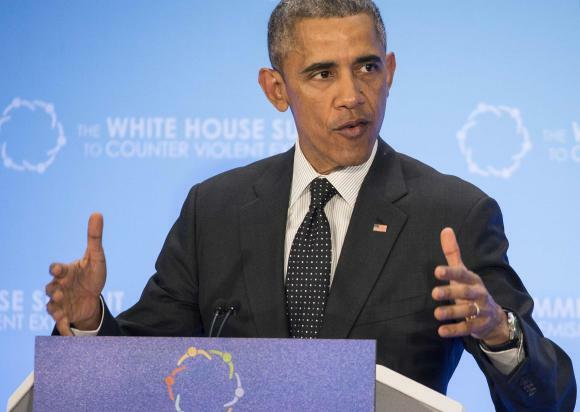 President Obama will endorse a Department of Labor proposal, which would require brokers to act in a customer’s best interest—the so-called FIDUCIARY duty—when working with retirement investors. The rule change is intended to crack down on “backdoor payments and hidden fees,” which cost retirement savers $8 – $17 billion a year, according to Jason Furman, chairman of Obama’s Council of Economic Advisers. I know what you’re thinking: How could a rule that puts my interests first, be bad? Well, according to the SEC, the idea that the industry is plagued by conflicts of interest, “has nowhere been proven,” and would effectively overhaul the entire regulatory regime, ignoring “eight decades of securities laws and regulations. The real kicker, however, is that this is not a Commission rulemaking.” This is a not-so-subtle shot at the Department of Labor, which in issuing this rule change, is stomping on SEC territory. Nothing like an inter-departmental catfight! In fact, SEC Commissioner Daniel Gallagher thinks that it is “curious” that the DOL didn’t consult with the SEC, especially given that the SEC maintains comprehensive oversight authority with respect to the investment advisers and broker-dealers who would be impacted by the change. Gallagher underscores that the DOL ignores SEC rules, which already address underlying conflicts of interest. But here’s the nut of the problem, according to the SEC: there is no evidence that the industry is plagued by conflicts of interest and the new rules could limit investor access to qualified investment advice and investment products. Investment advisor: If the advisor is registered as an IA, he or she owes you a fiduciary duty, which is a fancy way of saying that she must put your needs first. Investment professionals who aren’t fiduciaries are held to a lesser standard, called “suitability,” which means that anything they sell you has to be appropriate for you, though not necessarily in your best interest. CFP® certification: The Certified Financial Planner Board of Standards (CFP Board) requires candidates to meet what it calls “the four Es”: Education (Education (through one of several approved methods, must demonstrate the ability to create, deliver and monitor a comprehensive financial plan, covering investment, insurance, estate, retirement, education and ethics), Examination (a 10-hour exam given over a day and a half), Experience (three years of full-time, relevant personal financial planning experience required) and Ethics (disclosure of any criminal, civil, governmental, or self-regulatory agency proceeding or inquiry). CFPs must adhere to the fiduciary standard. CPA Personal Financial Specialist (PFS): The American Institute of CPAs® offers a separate financial planning designation. In addition to already being a licensed CPA, a CPA/PFS candidate must earn a minimum of 75 hours of personal financial planning education and have two years of full-time business or teaching experience (or 3,000 hours equivalent) in personal financial planning, all within the five year period preceding the date of the PFS application. They must also pass an approved Personal Financial Planner exam. Membership in the National Association of Personal Financial Advisors (NAPFA): NAPFA professionals must be RIAs and must also have either the CFP or CPA-PFS designation. Additionally, NAPFA advisers are fee-only, which means that they do not accept commissions or any additional fees from outside sources for the recommendations they make. In addition to being fee-only, NAPFA advisers must provide information on their background, experience, education and credentials, and are required to submit a financial plan to a peer review. After acceptance into NAPFA, members must fulfill continuing education requirements. For the original article found on LinkedIn, click here.